Cromagnon. The name itself is vivid, conjuring up the primitive, the ancient, the powerful, the pure. Yes, not refined nor proper, but raw. 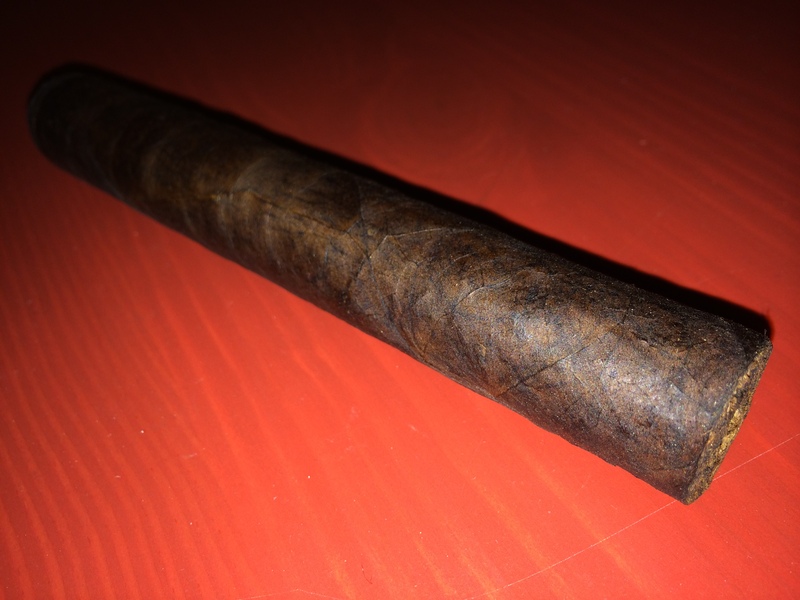 It is good that the name of the Cromagnon Cranium is so vivid, because there are no other identifying features on the cigar at all. No band, nothing. Just a heavy looking, veiny, almost black wrapper that looks as though it was lovingly rolled yet not particularly Imitazioni orologi italia fussed over. If it was a child, its father would have told it to get into some trouble, take some licks, and learn about the world. That fluff aside, it smells delicious. Even without lighting it gives off the aroma of a fresh-baked brownie. It is tantalizing. I am very excited to be back with you on this whiskeyist of days, especially since today’s feature is one of my personal favorites. I first savored the red richness that is Bulleit in the backyard of a friend’s family gathering, among friendship and comrades, and those are the feelings that always spring forth with each sip. Red is the defining feature of Bulleit. Not only does it possess the wonderful color that can only be described as a union of Bevo’s burnt orange and the crimson of the Emperor’s Royal Guards, but it just tastes red. It is difficult to describe, much as blue Gatorade somehow simply tastes blue. The 90 proof hits you immediately, and I am always shocked that more bros and woo-girls do not order more Bulleit, instead opting for the ubiquitous Canadian concoction that is Fireball. Bulleit has all the initial blast of a bar shot (I believe due to the relatively high rye content), but with so much finer a finish. Do not get me wrong, I would not describe Bulleit as smooth by any stretch of the imagination, but as it slides down your throat, a pleasant mellowing does occur such as mesquite burns into charcoal. Bulleit might not be the best option for a bachelor party or Washington soiree, but its richness of flavor and $25 price tag makes it a versatile option. While Corona might want you to find your beach, after drinking Bulleit, I encourage you to go discover your frontier. A Few Notes From Stephen: I wanted to chime in on Dylan’s thoughts because Bulleit is one of my favorite drinkin’ whiskeys as well. For its ease of drinking Bulleit somehow always keeps my interest every time I pick it up. Like Dylan, I appreciate the richness of the whiskey, as well as the impact of it’s flavor. I always get a touch of woodsmoke, some caramel, and a touch of red apple. It is always a welcome treat, and one which I second Dylan in recommending!